With more and more schools banning peanut products due to a rise in peanut allergies it is always good to find safe alternatives to send to school and feed to your kids. We currently have no peanut allergies at our school but I have friends who have kids with peanut allergies and many schools in surrounding towns have started to ban peanut products. 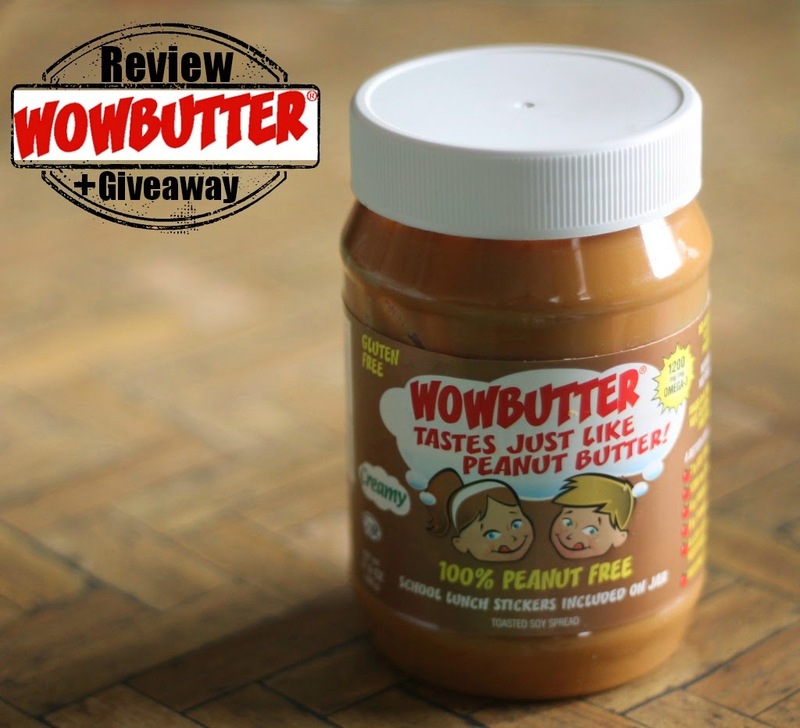 When WOWBUTTER approached me I was curious if WOWBUTTER really tasted just like peanut butter. We have tried other nut butters but none came close in taste or texture. WOWBUTTER also generously offered to send one of you 6 (SIX) jars of WOWBUTTER so you can try it for yourself! It was creamy just like peanut butter when I opened it and the claims are true! It taste as close to peanut butter as you can get without peanuts! I may have licked it right of the spoon! It is nutty but mild and the creamy texture just makes the whole WOWBUTTER experience as good as peanut butter! Just stick on your lunchbox! Per the WOWBUTTER website: These identification stickers provide a viable solution for both parents and schools by satisfying the needs of both those that are allergic AND those that are not allergic while also establishing better anaphylactic allergy awareness. 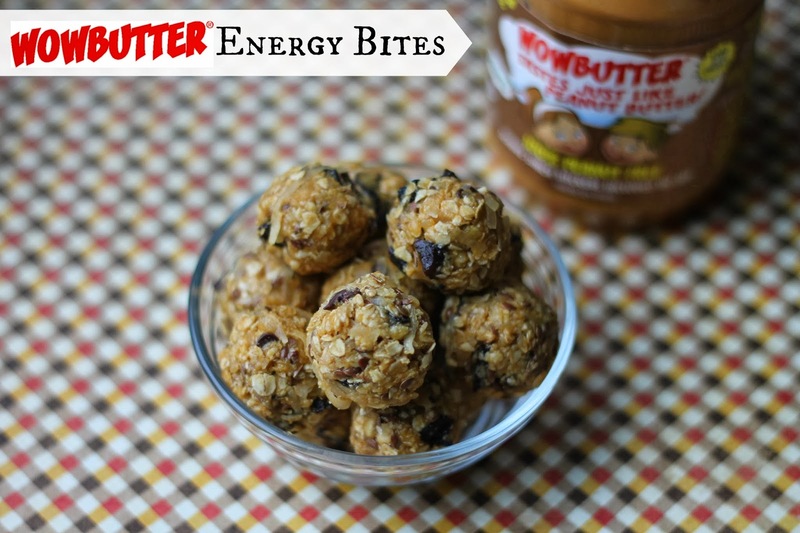 After WOWBUTTER passed our taste test I wanted to see if I could replace peanut butter with WOWBUTTER in our Energy Bites recipe. Mix all ingredients in a medium bowl until all ingredients are wet. Wet hands with water and form into bite size balls. Refrigerate and enjoy! These were a huge hit with my family and I am sure yours would love this recipe as well! Open only to US residents. Winner will be notified via email and has 24 h to respond before a new winner is drawn. GOOD LUCK! I've been looking for a good alternative for my little allergy man. I hope I win this one! My daughter is allergic to Peanuts and Tree nuts. I would love to win this for her! Hope I win for my daughter! Our school is nut free! Two of my close friends have kids with severe peanut allergies. My kids have to be careful what they eat before we visit them. With this, I know we would help keep them safe. LOVE Wowbutter!! It is perfect for my daughter with her allergy. And we all love it! Because I'd love to try your recipe for energy bites!! There are some kids in Taias after school program that are severely allergic to nuts so it is a nut free zone. Taia LOVES PB so this would be a great compromise! I stay away from peanuts since I'm sometimes congested and don't want to guess what foods may be contributing to the problem. Six jars is very generous and I could make some tasty holiday treats with it too. I'd love to try a spread other than peanut butter! We love anything that is peanut-like butter spread. We're so sold with Sunbutter, and now we'd like to try Wowbutter. Thanks for the giveaway!! I love all nutb utters and have been curious about this product. Thanks for the chance to try some! I have a nephew with a peanut allergy. Would love to win this for him. Thanks for the chance. I would like to win it because my daughter loves peanut butter and jelly sandwiches but there are kids in her school that are allergic. We would love to be able to include those kids at the same table for lunch! My girl is allergic to peanuts but her dad and I miss the peanut butter taste! Love this alternative when peanut butter is not allowed in the school! I'm always on the look out for great healthy alternatives. Would love to try Wowbutter! My son has a severe peanut allergy! My gf kids want to be able to sit at the peanut-free table, so they haven't been able to have peanut butter sandwiches. They've turned down the different subs I've tried, so we'd love to try Wowbutter! Thanks for having this giveaway! My son goes to a peanut free school, and Wowbutter is the only alternative we've found that he likes. I'd love to have some to make Holiday treats, that he can take to his school parties. I am looking for an alternative to peanut butter since one of the kids that hangs out at my house has a severe allergy. My girls love peanut butter but we just don't want to risk this poor kid having a reaction. Sound exactly like something we'd love! I wasn't a fan of Sunbutter, and have wondered about this product. Great review!